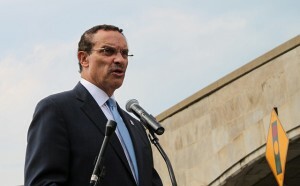 Mayor Vincent Gray has been touting his “One City” mantra since his election last year. He said the economic successes west of the Anacostia River haven’t extended eastward, where most residents are black and poor. “My intention is not to pit one part of the city against another,” Gray said during his State of the District speech in March. … I suspect that “One City” really means Gray intends to move more services and government offices east of the Anacostia River, to Gray’s home turf, at the expense of the city’s white, western wards. There’s talk, for example, that Gray might close the Department of Motor Vehicles office in Georgetown, so residents living west of Rock Creek would have to renew their licenses and handle other chores downtown or at Penn Branch, east of the Anacostia. So — one city based in Ward 7? If “One City” is code for moving even more services east of the Anacostia, just say so. What’s your take: do you think efforts to lessen racial and economic disparities will be at the expense of west of the river folks? “Zero-Sum Game Fallacy.” Google it.